"fixed" with science and technology. World War II, the feeling went, had been won for the Allies by the skillful use of scientific development and technological achievement that had created the atomic bomb, radar, proximity fuses, rockets, and advanced aircraft designs. No longer content with damming streams for power and irrigation, tunneling through mountains, or draining and filling swamps, science turned its attention to controlling nature. The biggest challenge: controlling the weather. atmospheric properties. At General Electric, Langmuir had been under contract to the army for a number of years, researching ways to produce smoke that would provide cover for troops from enemy aircraft and analyzing the growth of ice crystals on aircraft bodies, a critical problem that could cause airplanes and helicopters to crash. 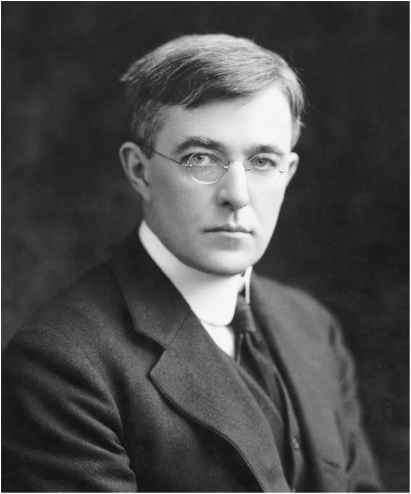 Langmuir's work in both smokes and icing had led him to analyze the properties of precipitation nuclei. In 1946, while Langmuir was in California, his assistant, Vincent Schaefer (1906-93), was conducting experiments to determine under what circumstances ice crystals appeared in clouds. Installing a home freezer in the laboratory, he lined it with black velvet so that any ice crystals would show up in light beams against the black background. Exhaling into the freezer, Schaefer created his own cloud—just as one does when exhaling on a very cold day. Even though the temperature in the freezer was below -4°F (-20°C), there were no ice crystals—just water droplets. Schaefer dropped in small quantities of fine dust created from a variety of chemicals, but they produced few, if any crystals. One day in July, when the freezer was not cold enough, he decided to drop a block of dry ice into the bottom of it. Almost instantaneously, the air in the freezer filled with ice crystals and the crystals remained there even after he pulled the dry ice back out. Schaefer was intrigued. Again and again, he experimented with dropping small amounts of dry ice shavings into the supercooled cloud in the freezer. Each time, he introduced a few less shavings than the time before. Even the smallest grain of dry ice, Schaefer found, could trigger the formation of ice crystals in a supercooled cloud. Experimenting with other very cold objects and substances—for example, a chilled sewing needle—Schaefer discovered that it was possible to induce crystal formation as long as the temperature of the introduced material was -40°F (-40°C) or colder. Upon his return to the lab in August, Langmuir started making theoretical calculations to determine the effects of "seeding" an actual cloud with dry ice pellets. 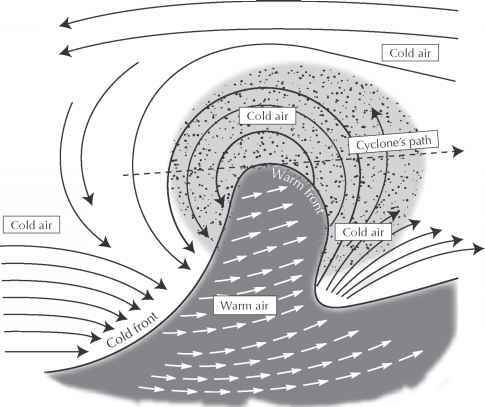 As snow and ice particles formed within the cloud, the cloud's temperature would increase, causing the air within it to rise. The rising air would cause the cloud to billow even higher and the seeds would be further scattered by the turbulence. By Langmuir's calculations, if they seeded a stratiform cloud along lines one to two miles (1.5-3.2 km) apart, the resulting air movement would spread the precipitation nuclei throughout the entire cloud within 30 minutes. 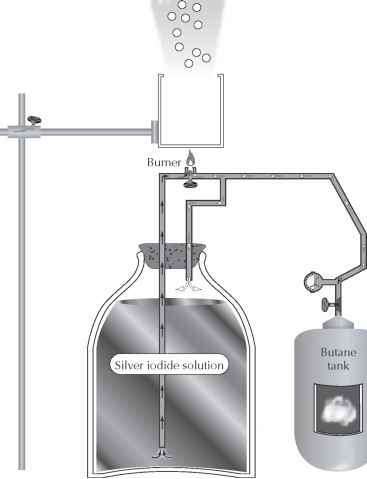 He and Schaefer decided to see whether it would work on a real cloud. On November 13, 1946, Schaefer took six pounds (2.7 kg) of crushed dry ice up in a small rented plane, looking for a suitable cloud to seed. Finding one about 50 miles (80 km) from the Schenectady airport, Schaefer dropped the first three pounds (1.4 kg) from the plane's window as they flew through the cloud and watched as snow started to fall from its base. Looping back around for another try, Schaefer dropped another three pounds and watched the ice crystals forming around the plane and the snow falling once again from the cloud. Langmuir, watching from the airport, was thrilled. They had successfully caused a nonprecipitating cloud to snow. After several more months of experimentation, General Electric decided to pursue government funding for weather modification research. Creating rain and snow was not really part of the company's usual line of work, but since it had the potential of being extremely beneficial for the nation the effort was continued. Within a year, Project Cirrus was born. Funded by the Army Signal Corps and the Office of Naval Research, with aircraft and personnel assistance from the U.S. Air Force, it had as its purpose testing the efficacy of cloud seeding. There were a number of government agencies who were interested in cloud seeding. The military, which was providing the money, was interested in the possibility of using weather control as a weapon. If the U.S. military could muddy an enemy's fields before a major tank battle, that would be an advantage. If enemy runways could be fogged in, that could keep their aircraft on the ground. Alternatively, if U.S. runways were fogged in, the fog could be cleared and the planes could be launched. In addition to the military, the Department of Agriculture was interested because rainmaking on demand opened the possibility of growing crops in arid regions. The Department of the Interior was interested because that capacity could also alleviate water problems for urban areas in arid regions. There seemed to be no shortage of good uses for weather control. Within a few months of Schaefer's flight experiment, private consulting meteorologists were using his techniques to "augment rain" for farmers, ranchers, and utility companies (for hydroelectric power) and to clear fog from airport runways. By the end of the decade, hundreds of thousands of dollars were being spent annually on weather modification covering millions of acres (square kilometers) of land in the United States. The techniques spread all over the world and were being tried in Central and South America, Australia, Europe, and Africa. Lawsuits resulted when farmers for whom rain meant crop losses sued farmers who needed rain for their crops. States sued other states for "stealing their water" from clouds. attention will be focused once again on fixing the problem with weather modification technology.